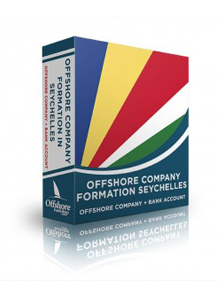 There are eleven main European tax free or offshore jurisdictions in which one can establish an offshore bank account, international business company or even a trust perhaps, and through which one can structure ones financial and taxation affairs. Depending on your own personal financial and residency status, it may just be that if you’re living abroad as an expatriate you can potentially benefit from the advantages these European tax-free jurisdictions offer, and the services the likes of offshore banks operating from these havens provide. In this article we’ll provide you with an overview of the eleven European offshore centres and talk about the sorts of international and private bank accounts one can potentially hold within such a tax efficient jurisdiction. Other than annual registration fees, municipal rates, property transaction taxes and a sliding scale capital gains tax, there are no taxes for individuals or companies registered in Andorra. However, because the nation insists that there’s a 2/3rds local ownership of any offshore entity, the jurisdiction is not popular for the establishment of IBCs. If you’re after an offshore bank account however, Andorra might be the right location for you if you feel that you’d like your banker and perhaps God to be the only other people who know about your banking affairs! In other words, offshore bank accounts and numbered accounts held in Andorra are said to be exceptionally secure, secretive and private. Tax avoidance is not really considered a crime in the nation, however money laundering is, and Andorra was forced to sign up to the EU Savings Tax Directive but elected for the withholding tax option. 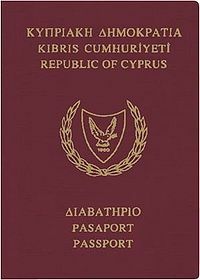 Cyprus was popular as a centre for the establishment of offshore companies until the nation joined the European Union back in 2004, since then it has become more expensive to operate a company from Cyprus – although tax levels are competitive when compared to non-tax havens within Europe. 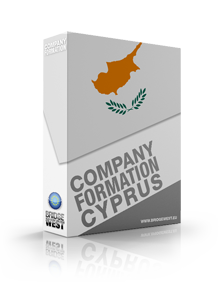 At the moment Cyprus is also a very popular place for the establishment of offshore bank accounts for international business companies registered elsewhere, and because banking secrecy levels are strictly maintained at the moment, it is considered a secure jurisdiction from which to operate an offshore bank account. Personal and company taxation can be low in Cyprus, particularly for IBCs and retired expatriates. With the use of special tax regimes, Gibraltar has been successful in attracting the asset management and offshore banking business of high net worth individuals who prefer the strong levels of protection the jurisdiction offers them, as well as additional benefits such as the fact that Gib has a favourable tax status, there are no exchange controls, communications and facilities are excellent, the government is stable and Gibraltar is an EU member. The economy in Guernsey is certainly dominated by the financial services sector – therefore it is of no surprise that the government of the jurisdiction does all it can on a continual basis to ensure that the nation remains as competitive as possible to attract continued business growth. With the largest captive insurance sector in Europe, Guernsey also has strong banking, investment fund and trusts sectors too. There are a number of business areas in which Ireland provides offshore or tax efficient regimes, and Ireland is unique in that it has managed to successfully embrace full EU membership and all the benefits that have gone along with that membership together with all the added benefits of having an active and successful offshore environment! In fact, Ireland has successfully beaten the likes of the Channel Islands and the Isle of Man at their own game! Banks that offer attractive offshore services are established within the International Financial Services Centre in Dublin, and they benefit from the centre’s low tax levels. For private banking services for British expats and foreign nationals living in the UK, the Isle of Man is very popular indeed. The level to which services are offered to these private banking clients goes far beyond simple deposit taking and simple investment management, to incorporate everything from trust establishment and operation to managing the underlying companies or assets of the trust. The Isle of Man is also very well respected for the levels of investor protection it offers. Thanks to its excellent physical and financial infrastructure, Jersey is a popular choice for offshore banking, investment fund and trust business. The European jurisdiction is also as famous for its low tax offerings and stability as it is for its excellent levels of investor protection and its international reputation – making it a favourite for those seeking a secure yet reputable haven. Not technically part of the European Union, Lichtenstein is still on the European continent and is also a member of the EEA. 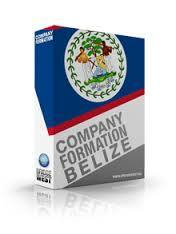 It provides for the establishment and management of very flexible types of ‘holding’ and ‘domiciliary’ company as well as ‘establishments’ and ‘foundations’ – all of which are tax-exempt. Trust law is also well established in Lichtenstein, however, the jurisdiction is perhaps more famous for its private banking services and the incredible levels of investor protection and privacy offered. Ironically, taxes in Luxembourg are very high indeed, however it provided for the establishment of tax-exempt holding companies which have now been replaced by Family Private Assets Management Companies, or SPFs. Unfortunately the jurisdiction is no longer hugely popular for offshore banking business since Luxembourg was forced to sign up to the EU Savings Tax Directive. If you’re looking for a typical offshore, tax-free jurisdiction in Europe then you might think that Monaco is surely it – however, you couldn’t be more wrong! Unfortunately, unless you’re exceptionally wealthy and you’re looking for somewhere to live tax efficiently and opulently at the same time, then Monaco is not the haven for you. Home to the world’s largest private banking centre, Switzerland is the epitome of banking secrecy and offshore, tax efficient banking possibilities in many people’s minds! However, in recent years, in a bid to keep the likes of the EU and OECD happy, Switzerland has begun cracking down on legislation and practices that allowed for money laundering and tax evasion through Switzerland’s offshore bank accounts. Despite this fact, banking secrecy laws in Switzerland are tight and tough and highly maintained.